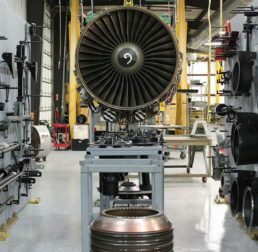 BP Aero provides engine and airframe accessory services. It services various engine gearboxes, pneumatic starters, valves and drive units, hydraulic actuators, lube system pumps, and fuel pumps and heat exchangers. BP Aero also performs inspection, test and repair on a wide range of engine harness systems. All test benches are newly placed in service by the prestigious Bauer Test Equipment manufacture who has made test benches for Woodward, Honeywell, GE, and Hamilton among others. We also perform full service and test on nearly all engine monitoring and sensor system. This includes function test, repair and overhaul of temperature, speed, vibration and flow sensors. BP Aero can be your one stop service center for the vast majority of engine accessories.